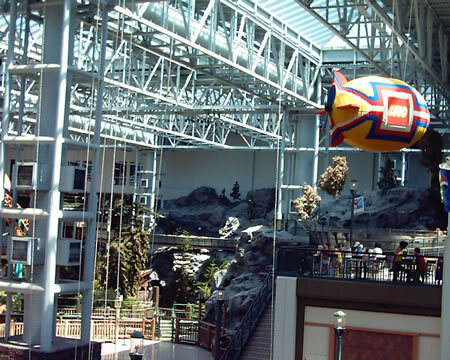 Near the crossroads of I35 and 494 near Minneapolis, MN is the Mall of America, a HUGE mall with an actual amusement park indoors right in the middle of it and an Underground Aquarium worth seeing! It could take you days to go through the mall and all its uniques stores you won’t find elsewhere along with other big names like Macy’s and Sears. They have so many stores and restaurants that they sell a coupon book for them. There is even a coupon for the coupon book available. They have a transportation area outside where buses and taxis are constantly dropping off and picking up. They also have the most handicapped parking near the entrance that I have ever seen at a mall. I was able to slip right in close. 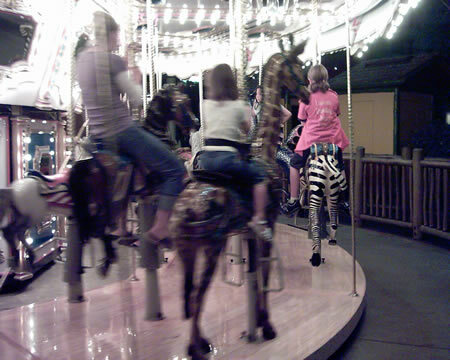 The amusement park is quite real with 30 rides such as a roller coaster, log water flume ride, ferris wheel, and carousel. 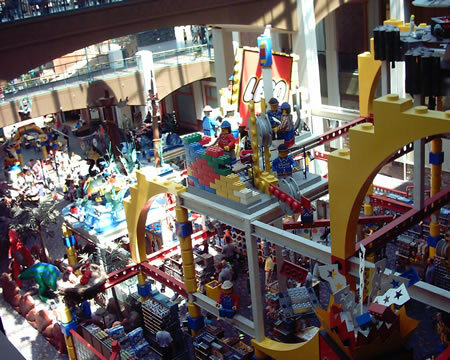 Legoland is also very popular. 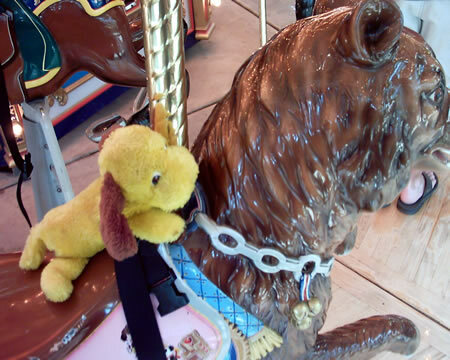 You can get an all day wrist band to ride and there is a $5 off coupon for that. Food stands in the park include Taco Bell, KFC, and Pizza Hut pizza among others or you can go up to the second floor to eat at Bubbagump Shrimp Co. LOL. An interesting store and restaurant is the Rainforest Cafe. The food was good but way overpriced. I had a great time in the park and mall but being a night shifter, they closed just a tad too early for me so I caught the 10:30pm show at their AMC Cinemas for Harry Potter and the Order of the Phoenix. Great way to end the day, with a good movie. 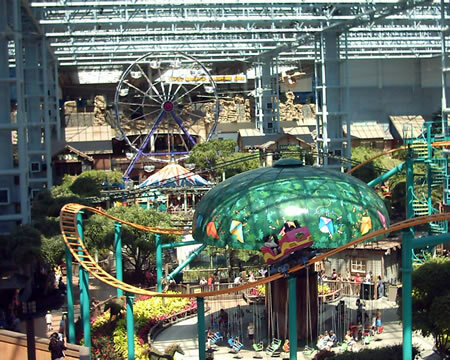 Near the mall is Waterpark of America which is billed as the largest indoor waterpark where you can actually surf and float their mile long indoor river. 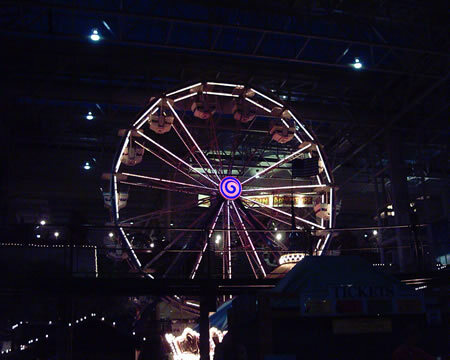 Minneapolis also has an excellent hands-on science museum if you have kids and the time. In St. Paul, you can tour the infamous Wabasha Street Caves where many a gangster such as Dillinger hung out, free from being bothered by local police, and prohibition was ignored in the night clubs setup down there.